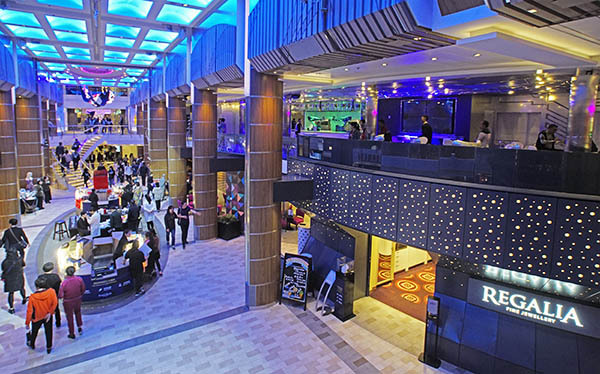 ABOARD QUANTUM of the SEAS – Upon first seeing a megaship, I was a bit overwhelmed. Yes, they are huge, if that isn’t an understatement. In order to further describe megaships, cruise writers and bloggers have invented a few analogies that I’d like to explore aboard the Quantum of the Seas. A “megamall on waves” is another analogy that seems somewhat applicable. 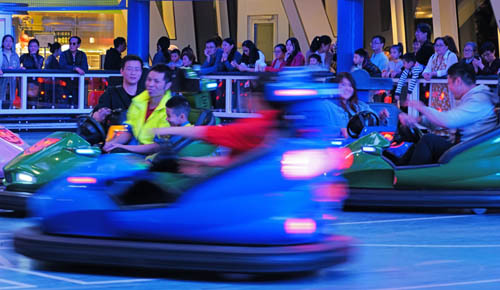 Think of megamalls such at Canada’s West Edmonton Mall or Mall of America, although Asia sports more than a dozen even larger ones. 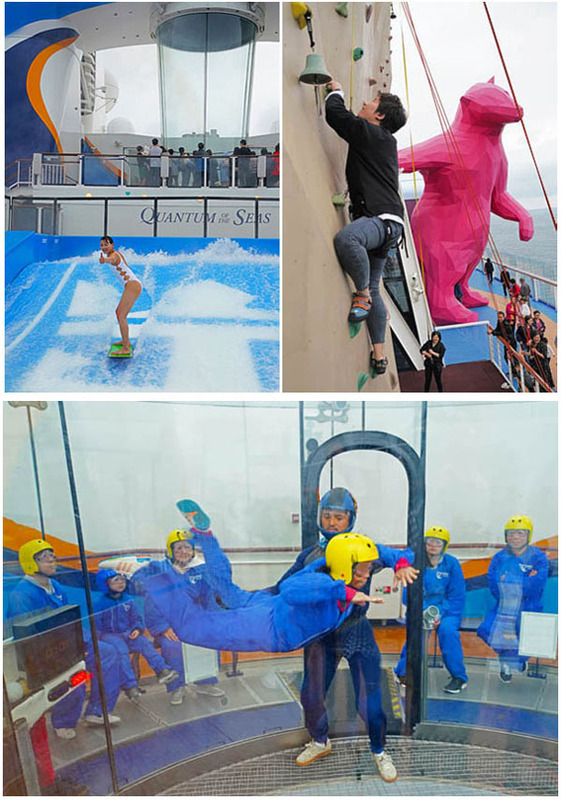 With a full day at sea to explore the ship, I’m excited to check out all of Royal Caribbean’s imaginative entertainment innovations meant to appeal especially to young families and couples. In addition to established Royal Caribbean favorites — the DreamWorks® Experience offering exclusive shows and character breakfasts, the 40-foot-long FlowRider® surf simulator, the signature Rock Wall with a view 220 feet above the water, the AquaTheater, and new RipCord by iFly®, one of the most unique wind tunnel installations in the world to simulate skydiving at sea. Introduced first on Quantum of the Seas, it is now featured on all of RCI’s Quantum-class ships. I can’t help being attracted by looking up above the ship to be amazed by something truly unique for a cruise ship. 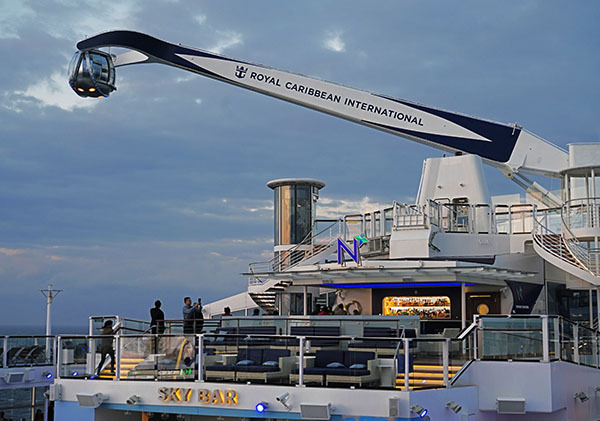 The first Royal Caribbean ship to offer North StarSM, Quantum gives guests a 360-degree view from a glass gondola suspended by a mechanical arm 300 feet in the air that can extend out over the water for an exciting photo opportunity. Additional at-sea firsts for the Quantum are bumper cars and roller skating. Their robotic bartender, I believe, is another; one I fail to understand. Seriously, what good is a bartender when you can’t tell them your troubles? I can’t help but be impressed by all the whiz-bang gadgetry and the feeling of being happily immersed in a theme park with adventure-after -adventure lurking around ever corner of the ship. 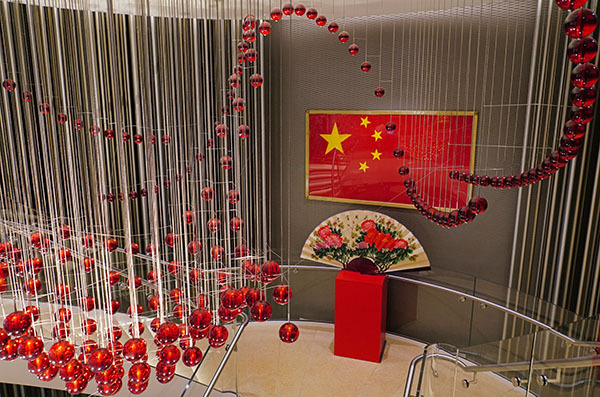 It all seems very ostentatious, yet I’m fascinated by the ostentatiousness of it all. With all of this on board, some critics have even wondered why anyone would ever get off the ship at port stops. Nice and Interesting! Well written, Dennis Cox!